A multibillion-pound electronic surveillance system operating on the border between Northern Ireland and the Republic would not change if Britain exited the EU, Ian Paisley has said. 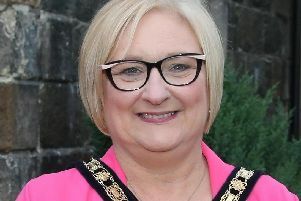 Every vehicle number plate is read and the number of crossings noted to protect security, according to the North Antrim MP, as part of an electronic barrier extending around the limits of the UK. The senior Democratic Unionist said: “The current Northern Ireland border is not a soft border, the current Northern Ireland border is an electronic border. “Every single vehicular movement on the border, every single person movement on the border, is electronically recorded. Opponents of Brexit have raised concern about the reintroduction of physical barriers between Northern Ireland and the Republic in the event of a withdrawal from the EU. Mr Paisley said electronic surveillance already substituted for physical barriers and was done for security reasons. Almost a quarter of a million border movements were managed in Switzerland on Tuesday. He is a member of the Northern Ireland Affairs Committee of MPs at Westminster, which is conducting an inquiry into the impact of Brexit on Northern Ireland. Queen’s University Belfast witness Dr Cathal McCall noted the surveillance was done across coastal limits of the UK and acknowledged extensive information sharing between the Garda and PSNI.